The most ideal positioning for your pool is a spot that delivers privacy, catches the sun in autumn or spring, is sheltered from wind and allows safe supervision of your children. There are also a few other factors you may consider priorities when you are deciding on your swimming pool placement. The most popular method in a confined space is to position the pool against an existing feature such as the house, fence or other boundary as this maximises the available space. 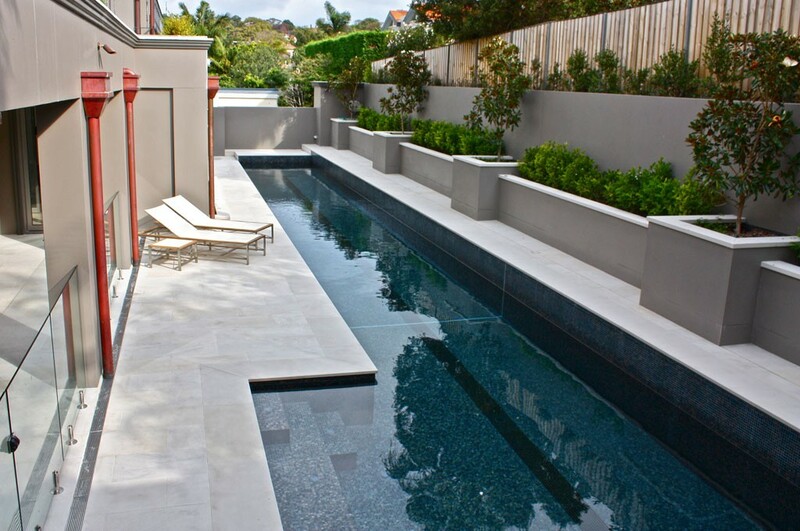 In a small backyard you can create the illusion of a space by positioned the pool along the backyards’ longest span. 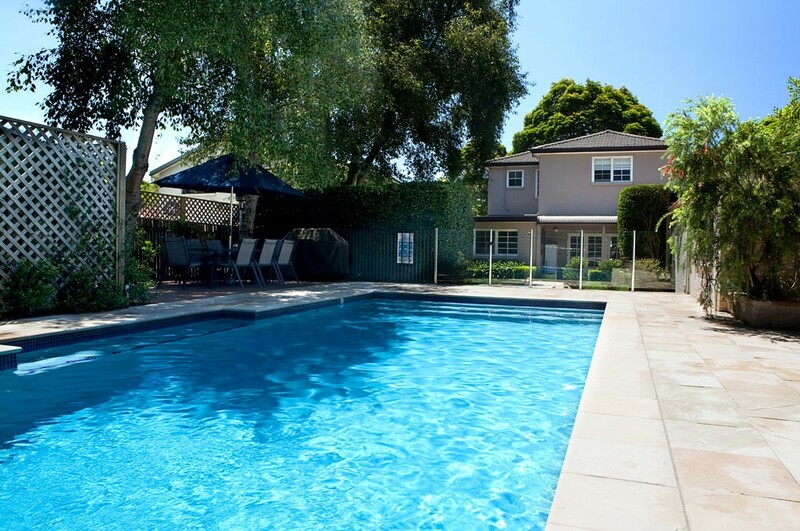 If you have decided to put your pool near the boundary of your property you will want to minimise disruption to your neighbours and ‘property protection works’. A good rule of thumb is to position the pool at least 1000mm from the boundary. Homeowners usually choose to landscape within this boundary area to enhance the overall space. 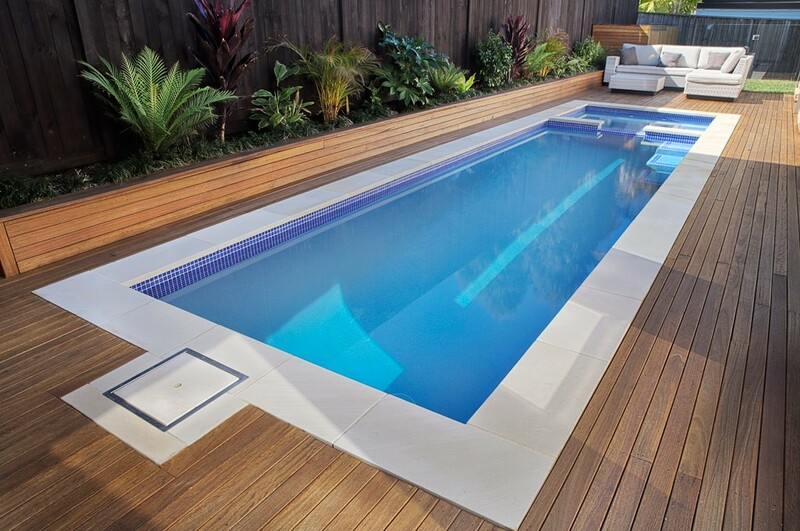 For pools in confined spaces there is a much greater need to echo the overall style of the adjoining home. Choose materials for the coping, decking and connecting pathways that complement the exterior of your home. 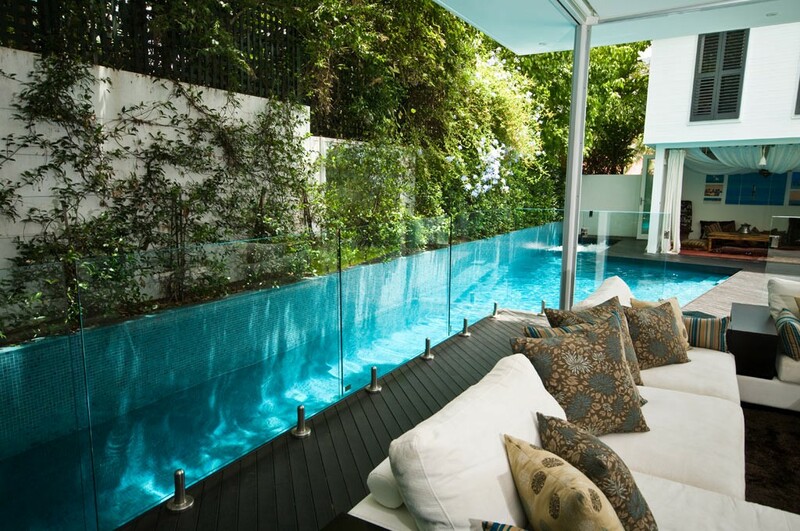 So whether you have a large or a small backyard, your pool will most likely become the dominant focal point. Creating connection between home and pool happens when design and placement are given consideration. Integrating interior and exterior spaces through hard landscaping (pathways, terracing, outdoor entertaining areas) and soft landscaping elements such as garden beds will enhance and add value to your property. The sun will warm your pool by up to 4° celsius so think about a north facing location that gets plenty of sun (4+ hours per day is ideal). If your positioning for sun exposes the pool to the prevailing wind, which will increase cooling and evaporation, you can consider putting up a windbreak. Most people are aware of the regulations about the mandatory requirement for child resistant pool fencing. But it’s best to check with your local council to check if there is any additional local building, zoning or safety regulations you will need to comply with. Utilities: You should avoid locating your pool over storm-water drains, gas, electricity, sewers, etc. as this will increase costs for future repairs for any of these services. If you are unsure about their location, your local council should be able to provide diagrams. Trees: Whilst overhanging trees can provide a welcome relief when relaxing poolside, they can partially shade your pool for and mean you are regularly cleaning up leaves in and surrounding your pool. Tree roots can also cause problems down the track by placing pressure on the pool walls and plumbing systems. Don’t forget that you will need to get approval to remove the tree from your local government. Making the pool safe for children is critical when planning your pool so unless your children are strong swimmers, now is a good time to start swimming lessons. Whether your children are young or teens you will need to maintain eye contact and may need to consider locating the pool close to the house to make supervision easy. Locating one side of the pool next to a fence or garden also means that young children will not be able to chase each other around and around the pool. If space allows, place the equipment close to pool level; the closer the pump, the more efficiently it will operate. The filtering system should be at pool level or lower: placing the system above the level of the pool will put undue pressure on the pump. Is salt water better than chlorine?